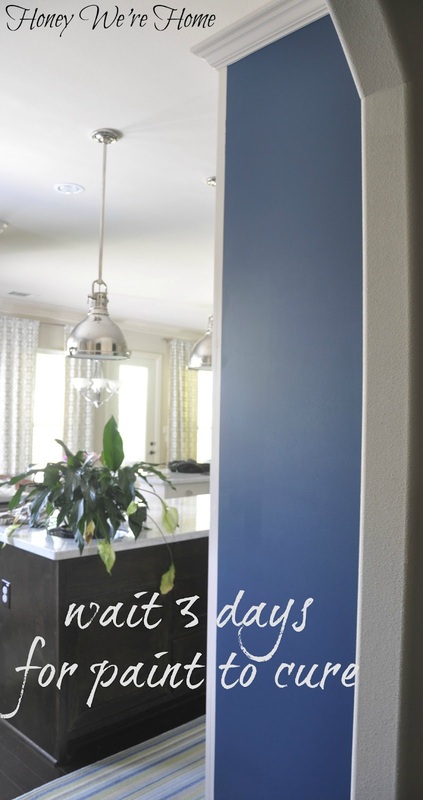 I’ve been on a roll with the paint lately, this time my attention was focused on a long blank wall in our kitchen. I’d been toying with the idea of turning this mostly-hidden wall into a chalkboard wall for awhile, and when I saw the gorgeous array of Benjamin Moore chalkboard paint colors, I decided to take the plunge. I thought it would be really fun for James (my 2 1/2 year old son) and a great place to put fun messages, menu items, or little reminders. I chose Benjamin Moore Chalkboard Paint in Summer Nights (777). I wanted something blue, but with some aqua in it. They have every color in the rainbow, so it’s hard to chose just one! I applied three coats, waiting at least 4 hours between coats per the instructions. (yes, there is a plant in the sink- I was watering:) Then, you have to wait 3 days for the paint to cure before you add chalk to it. And then the fun part . . .
James loved drawing on it! I love our white kitchen, but this wall is hidden except when you’re looking at it from the mudroom, so it still looks like a white kitchen from most every other view in the house. I like that it’s kinda a secret, unexpected fun wall in our home. I’m planning to add a trim border to the chalk wall over the weekend, so I’ll show you next week! I love it! This is so totally fun. I'm always running out of those pads on my fridge for things to buy or do. A nice chalkboard wall would fix that for sure. Not to mention my son would be all over it! that is super cute!! I love the colored chalkboard paint..I thought you could only get it in black!! I love it! 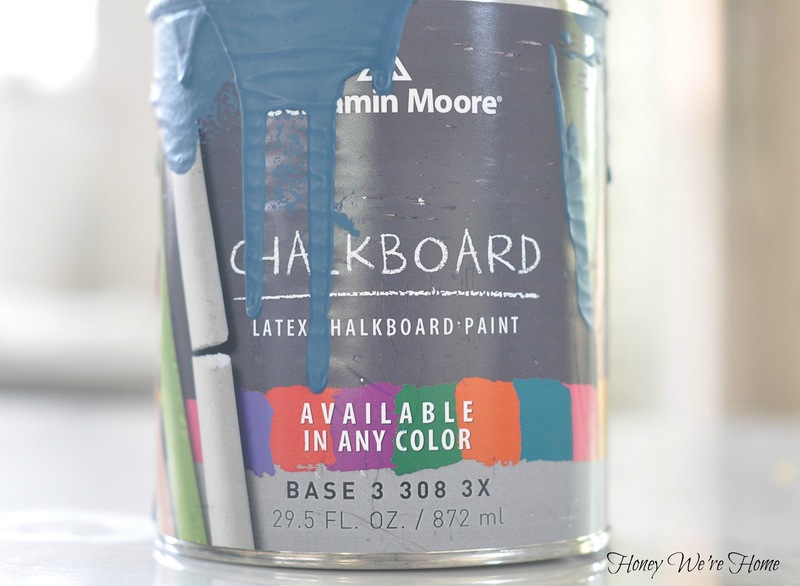 I had no idea Benjamin Moore had colored chalk paint! Duh – brilliant! I love how this space turned out, and what a cutie James is, making good use of it!! I love that! My only concern would be all the chalk dust. Do you anticipate that will be a problem so close to the kitchen? There was chalk all over the floor after we were done playing! This is a perfect spot for Chalkboard paint! 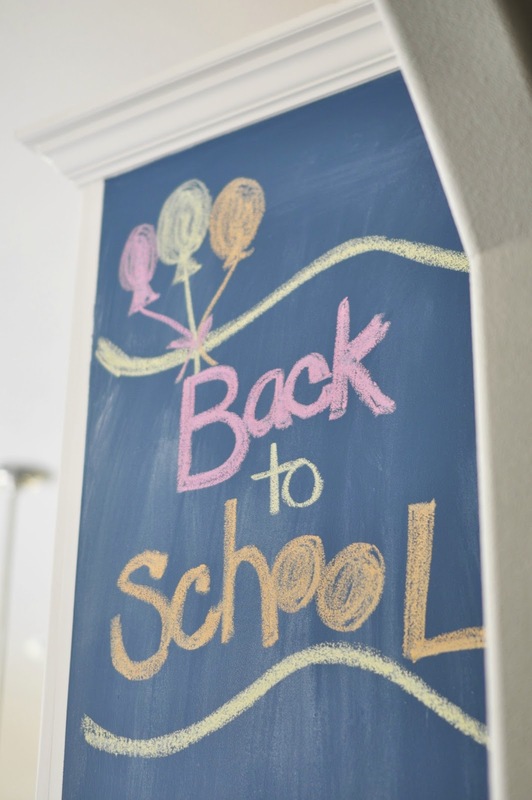 I am also loving the array of colors that chalkboard paint comes in. I think I might have to try some out soon! How fun! Makes me wish I have a wall for chalk board fun, but maybe someday. 🙂 Love the color! Looks great! I did a chalkboard wall in my basement kitchen. Every kid no matter what age goes straight to it. This is an awesome idea. I didn't realize Ben Moore had colored chalk paint! Wish I could do this in my kitchen, but since it's an apartment its probably not worth the time to paint and have to paint it back. 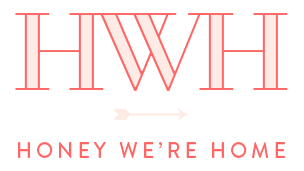 Please feel free to check out my design blog! Love the wall…and the pics of your little artist! I am currently creating my own chalkboard in an old frame to hang on my family room wall. Love the idea of having a changing canvas in my decor. I absolutely love this idea!! Wish I had somewhere to do this! My daughter would love it too! I love it! Especially the color. I had no idea Benjamin Moore had THAT many colors to chose from. I was thinking about painting the end of our frig cabinet with chalkboard paint. LOVE the blue!! LOVE The idea! Love it! I have been trying to figure out too how to do that in my kitchen,I had no idea about all the great colors! 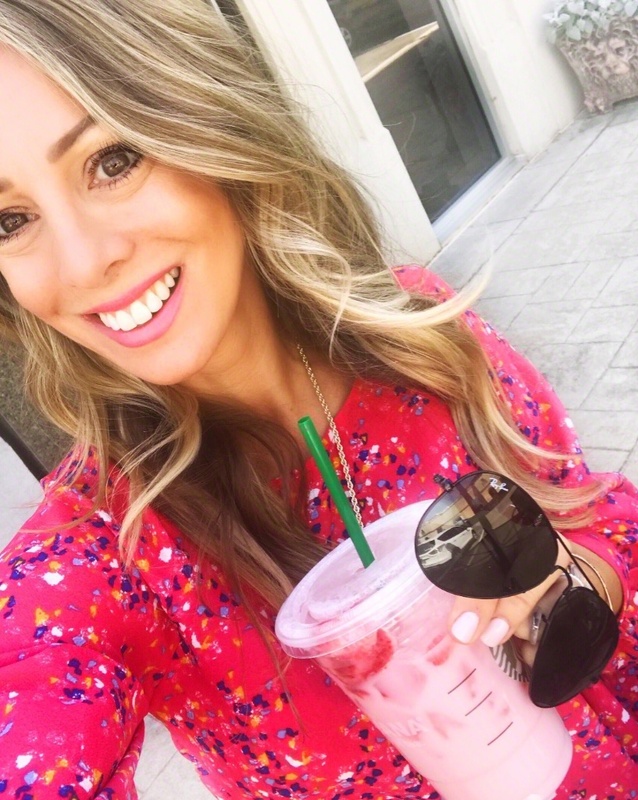 Thanks so much or sharing! Love it! I would definitely have a chalkboard wall somewhere in my home…if I didn't live in an apartment :o) Looks great, Megan! Great idea! It looks great there! That color is so pretty! 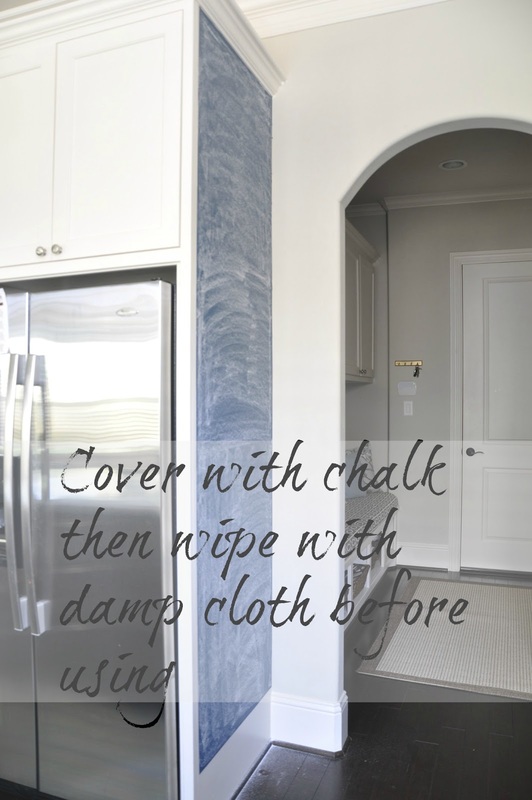 I LOVE chalkboard paint – it's just too fun! Love love love this Megan!! That's great! 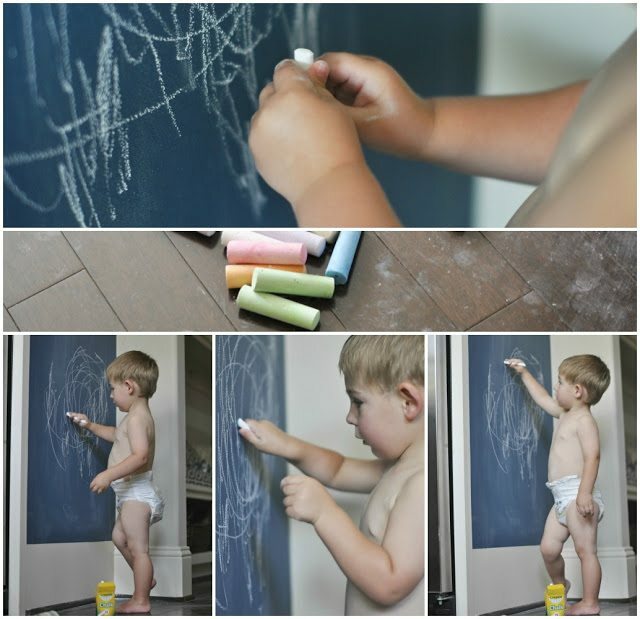 I'm still in love with chalkboard walls.. they're just so great for kids! It looks great! I've been toying with this idea for awhile now. Maybe I'll take the plunge! I LOVE LOVE LOVE this! I've actually been pondering doing this in my own home, and seeing these pictures may have convinced me. This is great! Oh, such a perfect place for this. I love the collage you did with James and the chalk. Precious. I would frame that for his room. I never thought of that! Cute idea! I think the color is perfect for your kitchen! The blue really pops! I did this a few years ago and we love it. It's the best use of an awkward kitchen space. I'm still in love with chalkboard paint! You have inspired a Labor Day Weekend project-a wall in my mudroom which leads into the kitchen! 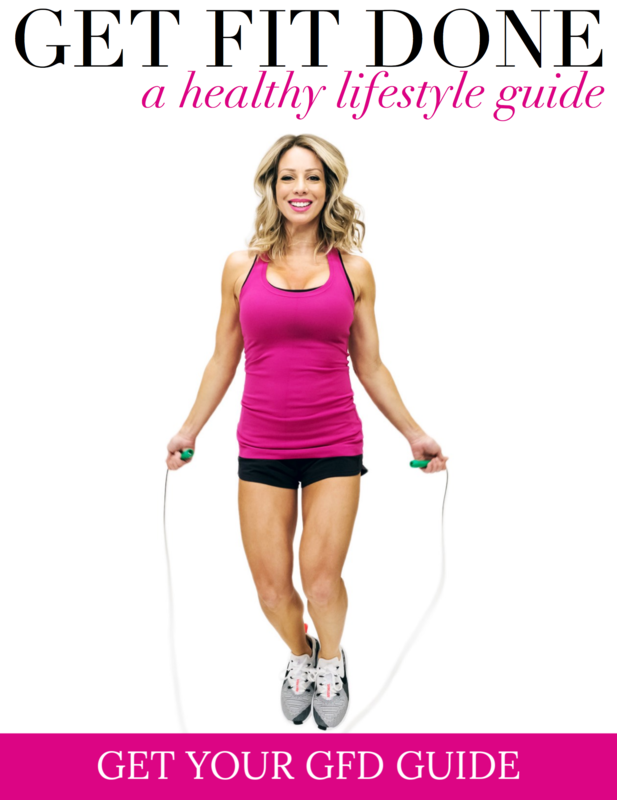 Fitness posts would be awesome!! YES! I love the color! I just added a chalkboard wall in our house too and my kids love it! 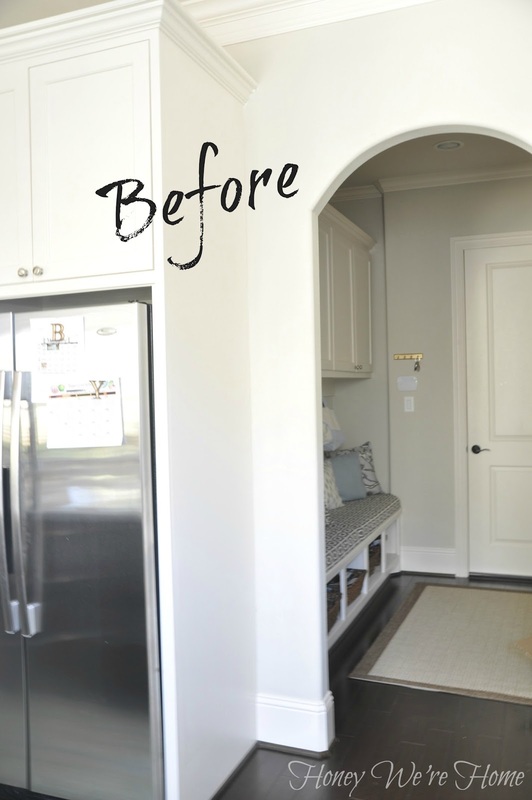 (me too:) I love how yours is such a fun surprise in your elegant kitchen! I love that you can get the chalkboard paint in so many colors, I never knew! 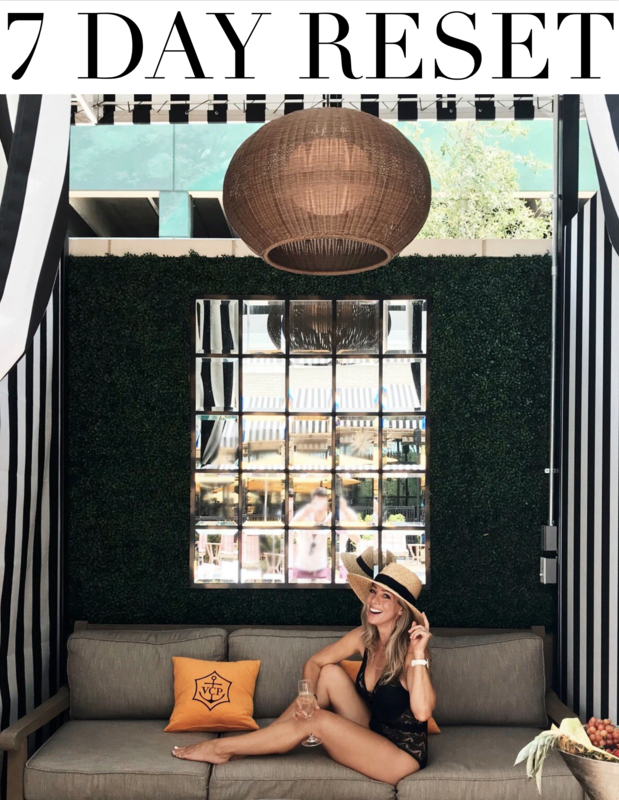 🙂 I also adore your "hidden" area, which allows you to have a super fun and playful side and a classy side! I have the same wall in my white kitchen that I've attempted this with. Did you sand or prime the wall before you did this? This is such a great idea! I'm thinking of possibly doing this is my son's room on the closet door. My only concern is when it comes time to clean it – how does it hold up to washing? I think I will make one of these for my kitchen.